Why not put the sound for your film or TV production into our capable hands. 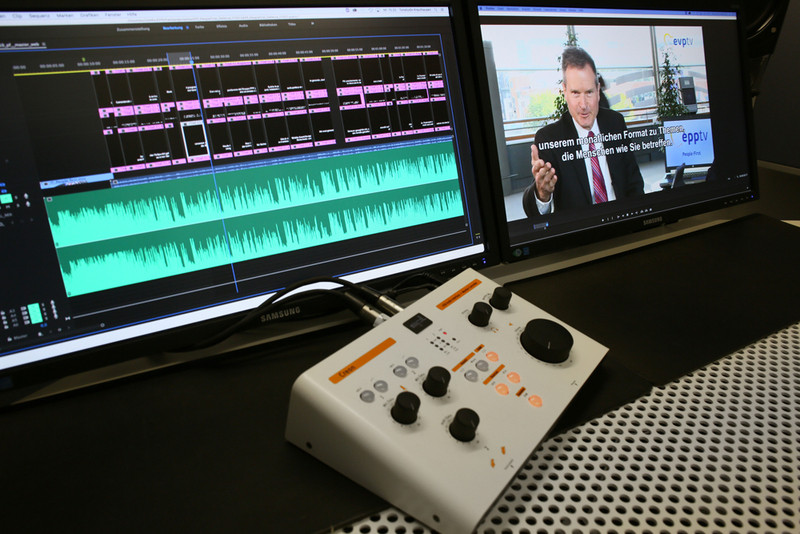 Tonstudio Krauthausen can offer you the complete post production package, consisting of synchronisation, mixing and subtitles. Our expertise is something you can rely on. After all, we are sound specialists. That’s why, when it comes to mixing, for instance, we guarantee compliance with the European Broadcasting Union’s “EBU R128” recommendation. This defines loudness for radio and TV programmes and has also been the standard in Germany since 2012. You’d like to adapt your film for a new market and produce a version in a different language? Or perhaps replace or rework dialogues? Tonstudio Krauthausen can offer you the technical capabilities and expertise to synchronise your film professionally using Automatic Dialogue Recording (ADR). We can also add subtitles to your film. Editing is also a service we can offer, for instance when different language versions require different intro and outro sequences. The completed film can be delivered in any required format and codec via download link.